Leah and Jimmy had an amazing wedding at Hotel at the Lafayette in downtown Buffalo. They are huge Buffalo Bills fans. We did their photos (idle) at New Era Field (formerly Rich Stadium and Ralph Wilson Stadium) in Orchard Park, NY. Leah's family was ticket holders, so we got onto the actual field. It was awesome. We got to be very creative with the wedding party photos. We knew we wanted to do something completely different for the bride and groom later in the night. During the reception, we took Leah and Jimmy across the street from Hotel at the Lafayette. There is a really cool marble wall that looked fun to use for photos. I stood behind the couple holding an off camera flash. We had another light set up to light up their faces. Neal had the bride lean up against the wall. Then the groom leaned in for a kiss. We asked them to separate just a little because we wanted the traffic lights behind them to create a boca behind them. The light we added to the front gave us this amazing reflection on the marble. The bride and groom looked amazing, twice! 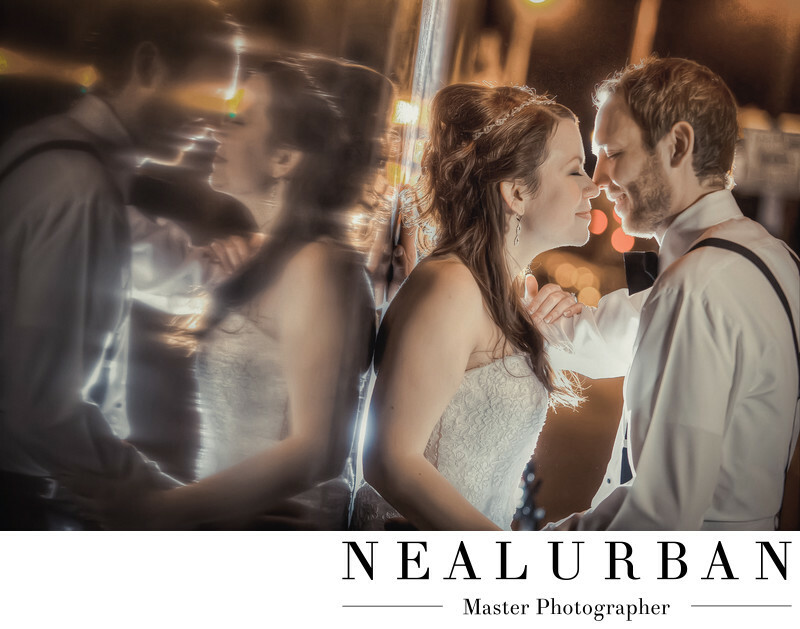 Neal Urban Studio loves reflections. They can make for a really artistic image. This one turned out so good we showed the newlyweds right out of the camera! Location: 391 Washington St. Buffalo NY 14203 United States.